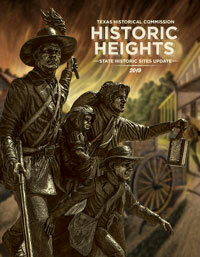 Stay up to date with what's happening at your favorite THC state historic site! From this page, you can subscribe to any of the newsletters from the THC state historic sites across Texas. News on community events and other exciting ways to appreciate history through the sites will only be sent to you from the newsletter that you subscribe to. The THC does not sell email addresses. To unsubscribe from future emails, follow the unsubscribe instructions at the bottom of any email sent by the THC. To stay in the loop with historic preservation highlights from across Texas, be sure to subscribe to the THC newsletter.